The PSD Mockup renders your ad on the bottom right corner of a newspaper inner page. 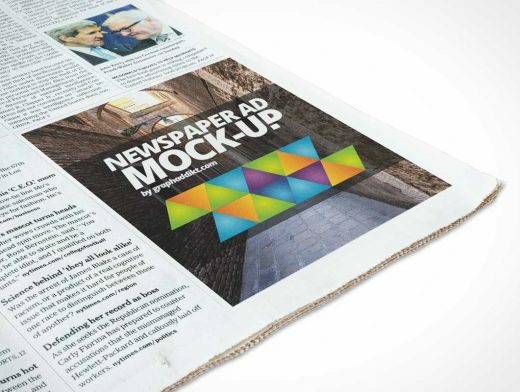 This newspaper mockup lays on a wood table rotated to 45° and is well lit. The Photoshop document includes a Smart Object layer to easily add your design to the newspaper. This mockup also has a vignette (not show) to help focus the viewers attention on the rendered ad.